Megabass Classic Trucker - Camo [Megabass Classic Trucker Camo] - $19.99 : The Tackle Trap, Inc., It's all about fishing tackle! Featuring a traditional woodland camouflage pattern, this style was inspired by the custom design Chris Zaldain created for the Bassmaster Elite Series. Iconic Megabass logo in 3D embroidery, with text below in 2D. 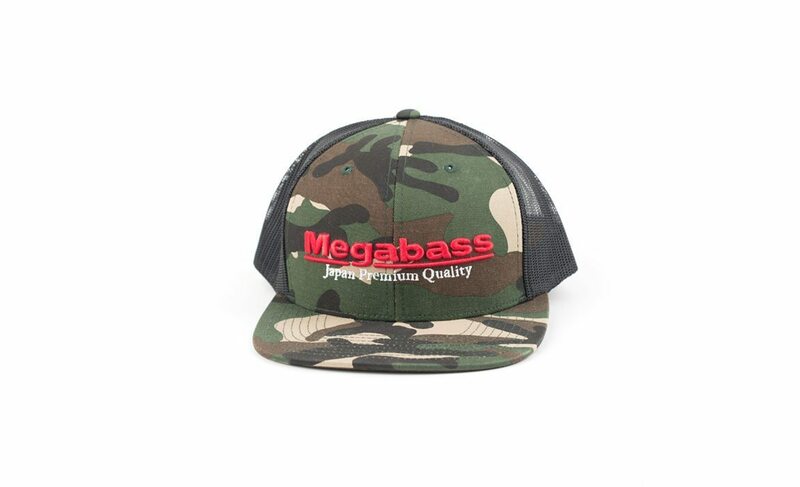 Megabass snapback trucker hats are available in a mesh and structured poly/cotton build, for the best in breathability, comfort, and style.